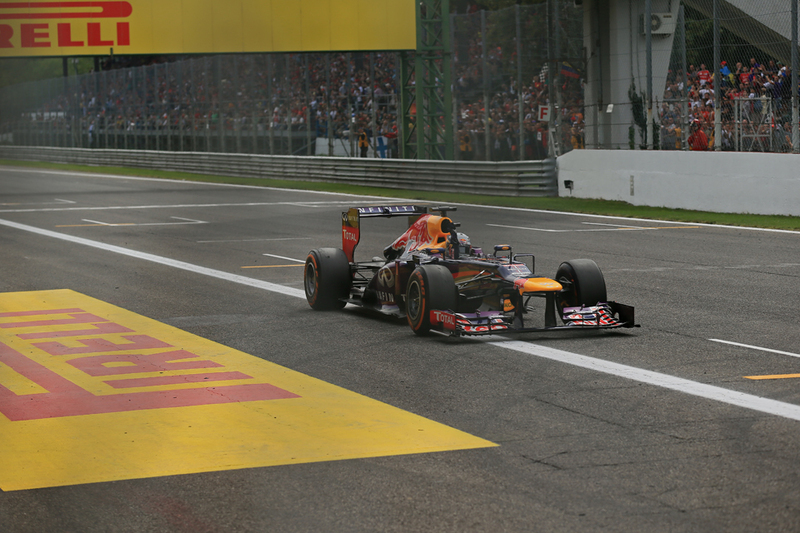 Talking about F1: The F1 blog: Tyre wars - such a good idea? But with these concerns and more, earlier this year the old idea of F1 returning to a 'tyre war', with more than one supplier in competition, re-awoke somewhat. It started with the thinking out loud of Fernando Alonso: "In 2006 the tyres were amazing from both companies [Michelin and Bridgestone in competition] because they pushed each other to the limits" he said, "and we had a super-fast tyre on which you could do a whole race distance in 2005. "Then in 2007, only with Bridgestone, the tyres were completely different. At that time they took a step backwards and relaxed a little bit. You could still push on those tyres because they had some experience and technology from tyre competition. That would be good for Formula 1. For strategy you could have a tyre that is good in qualifying, bad in the race, or vice versa. Some circuits would maybe suit one company, other circuits the other company, so it would mix up the results..."
Jacques Villeneuve then got in on the act, stating that a tyre war would be "the best thing that could happen to F1". David Coulthard concurred. "I have no doubt that, if challenged to do so, Pirelli could build much racier tyres" he said in one of his BBC columns. "The bosses of the sport do not want a tyre war between different manufacturers, but I don't understand why. After all, there are chassis wars and engine wars." When I asked about this in Montreal in the drivers' press conference most present welcomed the prospect of a tyre war. Or rather most welcomed the prospect of tyres with greater grip that would result from more than one manufacturer being set against each other. And whatever else a tyre war would too it would necessarily end deliberately diminished rubber such as we've had from Pirelli in recent times, given tyre suppliers will be in competition and won't like losing. Almost no driver professes to like the tyre conservation formula. "You will very rarely hear them saying it publicly but, without exception, no-one in F1 likes the construction and compound range of the current tyres, and people are very negative about Pirelli as a result" added DC. And to be honest I don't blame them. Perhaps something would have to be done about aerodynamics at the same time to ensure cars can run close to each other (and indeed chassis changes await in 2017) given we could no longer rely on pace variation to give us action, but that's another story. Felipe Massa, the only one of the six present at the press conference to have driven in F1 at the time of its last tyre war, said: "For sure [I would welcome a return], when we had the big fight between the tyre suppliers it was amazing the grip we had on the tyres...all the companies were giving the best they could". Sergio Perez added that "there is definitely room to improve the tyre that we have". under CC BY 2.0 via Wikimedia Commons - https://commons. There also was a common view that competition and tyre technology being pushed forward which would result were well in keeping with F1's principles. Lewis Hamilton opined: "Pushing technology... that's naturally what the sport is about. When you have one manufacturer there's no need to push the technology." Max Verstappen concurred: "It's always good to go to the limit of something, and also with the tyres it's exactly the same. Try to push each other forwards and improve the tyres again. I think that would be great to see again". While Pastor Maldonado agreed that "it's always fun to see competition everywhere in Formula 1". Nevertheless Maldonado had words of caution about the modern sport's perennial of cost given in the past at least tyre competition, and associated days and weeks of tyre testing, can make the sport's outgoings sky-rocket. "We need to think not only about the competition, also about the cost," said the Lotus driver. "As everyone knows the budgets and the sponsors and the economic situation of Formula 1 now is not the best, not the greatest." Yet it was left to Daniil Kvyat to provide the most distinct, and perhaps the most interesting, view on a potential tyre war. 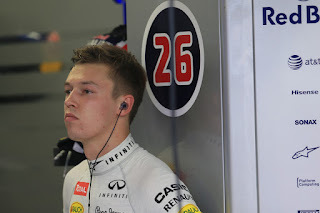 Kvyat indeed is an intriguing fellow, one given to march to his own beat and who is neither shy in expressing his view nor lacks an individual flair in so doing. He also with this even in his relative youth has something of the motor sport olde worlde about his outlook. In Monza indeed when all of the talk was of increasing cockpit protection following recent fatal accidents in F1 and elsewhere Kyvat virtually alone outlined that he got into motor sport accepting fully that it was dangerous and that closed cockpits in his perspective are not in keeping with F1 heritage. I don't know if Kvyat is well-read on the sport's past. 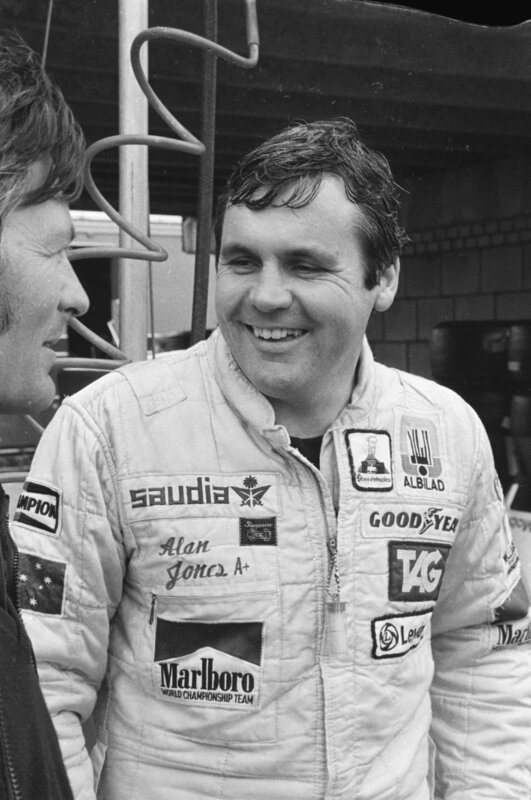 It may be coincidence that his views strike as those taken straight from a bygone F1 age. But he often does talk about the sport as one intimate with previous decades, warts and all, would. And it was the same here on the subject of a tyre war. "To be honest if we have one supplier that gives us just a very strong tyre with good grip, I think it's fine," he started in Montreal. But he went on. "If you have two different suppliers and one does a much better job than the other, then probably there is disadvantage for some teams and advantage for another". And looking back indeed, cutting through the rather rose-tinted recollections of past tyre wars, the Russian was bang on the money. Now, it is indeed tempting to think back to the good times a tyre war gave us. And there were some good times. A tyre war at its best can turn motor racing on its head. The grid for the 1990 season-opener at Phoenix's street circuit was a classic. Gerhard Berger bagged pole position on his McLaren debut. 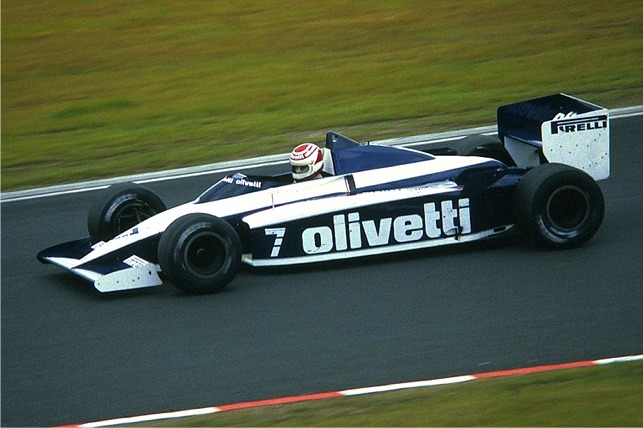 Joining him on the front row was Pierluigi Martini in the Minardi. Kid ye not. Then we had Andrea de Cesaris in the Dallara and Jean Alesi in the Tyrrell. 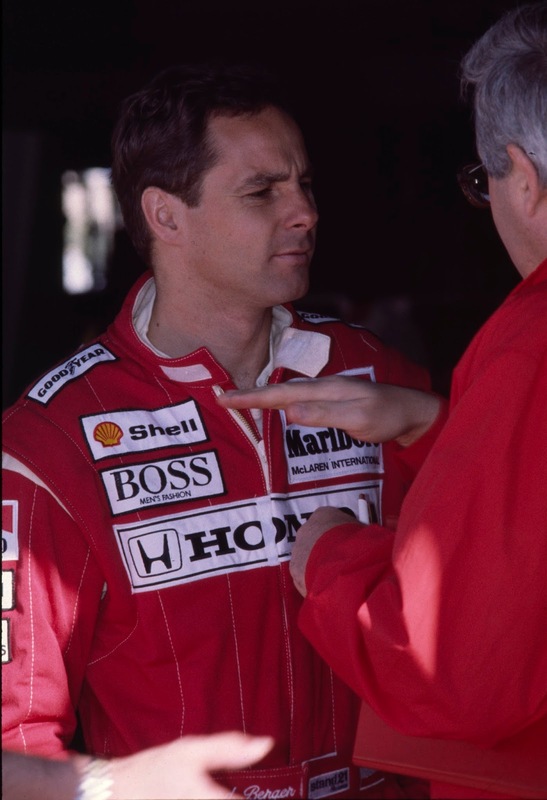 Only then did we have Berger's team mate, who went by the name of Ayrton Senna... Simply the interloping cars between were on Pirelli rubber rather than the Goodyear used by most of the front-runners, and this time for this unusual street track Pirelli had got its sums right. Alesi then made good on it further by scampering off to lead the first half of the race as if he'd been leading Grands Prix habitually, and finished up second after a fine battle with Senna. Would Berger's surprise win in Mexico in 1986, the first both for him and the Benetton team, have happened without Pirellis which unlike the Goodyears allowed him to run non-stop that day? Perhaps, but perhaps not. But it's that oh so habitual way that the unusual things we remember are remembered precisely because of that - they were unusual. Even then. For the most part of the 1990 and 1986 seasons, and many of those which surrounded them, the Pirelli product was distinctly sup-par compared with the Goodyear, and therefore given the top teams tended to hammer their stakes into the Goodyear ground thanks very much the tyre situation served mostly to stretch the pace gap between the 'haves' and 'have nots'. Throughout F1 history indeed for all the examples of teams being lifted to competitiveness by being on different rubber there are at least as many, probably very many more, where the effect of a tyre war has been exactly opposite. That those already ahead are lifted further away from their pursuers by having superior rubber. This is a result of two forces, from different places but pulling in the same direction. First off the top teams of course can pick the best tyre suppliers, and are in a better position to place their particular demands on them. But also tyre suppliers want victory as much as anyone involved in the sport and almost inevitably will therefore lean towards those who represent its best chance of achieving it, strengthening the already strong and weakening the already weak. If the age of single tyre supplier has done anything it is putting a stop to this (imagine if right now Mercedes also had a tyre supplier producing rubber intended to best suit the W06, which other teams simply had to cope with somehow. I don't know about you but I get physical pain from the thought...). Quintessentially we had this in the dominant Schumacher-Ferrari era, as a significant part of the dominance was the team could count on Bridgestone rubber bespoke for its car and even for Schumi's highly distinct driving style. All others using the Japanese output simply had to lump it. Furthermore in its most crushing season of 2002 as well as Ferrari having brilliant and tailored Bridgestones its closest challengers (a relative term) in Williams and McLaren having ditched Bridgestone in part because of its Ferrari preference had to proceed with rather dud Michelins, prone to egregious 'graining' phases in races. Franz Tost of Toro Rosso and Red Bull's Christian Horner also are wary of this, as indicated in their words after Alonso had speculated about a tyre war return. "This means two teams will have the good tyres and the rest will just get the scraps, like it was before" said Tost. 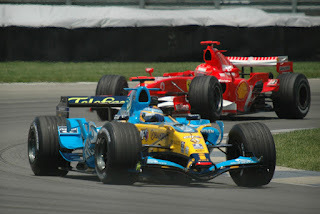 "When Michelin was in, it was Renault [favoured], therefore Alonso has good memories, and with Bridgestone it was Ferrari, which was one of the reasons why Michael [Schumacher] was so successful. "If this comes back it would be the same story - two tyre manufacturers two teams, three tyre manufacturers three teams, and the rest get what the others don't like. That means we would have the power-unit Formula 1 and the tyre Formula 1, and while the power units are stabilised we then open up the next problem." "One make of tyre means equality for all of the teams" added Horner. "In the times of tyre wars effort has go to behind your leading charge, which would drive up costs immeasurably as you'd have to develop your car around a specific tyre. It's been one of the successes in having a sole tyre supplier, and that's one of the reasons why Red Bull has achieved the success it has as an independent team." Taking another unusual case the 1997 season by contrast was in large part a perfect storm for a tyre war doing us good. For the first time since 1991 Goodyear had opposition in supplying F1 teams, in the form of Bridgestone, and it could be argued that for the first time in much longer Goodyear had a serious threat to its pedestal position. If anything the Bridgestone was the superior tyre, certainly the more durable. Yet in this the Japanese company's debut season only count midfield runners at best threw their lot in with it: Prost, Stewart and the like. And the tyre advantage conferred could, on occasion, bring these guys right to the sharp end and thus contribute to many thrilling races with unlikely protagonists at the front. Heck, even Arrows nearly won a race on them. However almost instantly - and displaying the flip-side and F1's almost inevitable tendency for self-correction, particularly for the haves giving themselves every advantage - come 1998 the McLaren team fully expected to dominate anyway had the Bridgestones for itself. The fun was over. Kvyat too was absolutely correct that a distinct downside of a tyre war is that it can put competitors into a position where the simply cannot compete. Nelson Piquet was especially prone to being on the rough end of this particular stick. In both 1985 in the Brabham and 1991 in the Benetton he was expected to be a regular presence in the pace-setting group, perhaps even a reasonable value bet for the title. But sub-standard tyres (in both cases from Pirelli) played a major part in him not getting close in either. In a similar sense Jackie Stewart had some masterful wet-weather wins in his career. Not least two of them in 1968, first at Zandvoort where he won by a minute and half, then in far worse conditions at the Nurburgring where he reached the flag a scarcely comprehensible four minutes before the next guy. Three years later at the same Dutch venue on a similar day to his 1968 triumph Stewart instead however sank like a stone. He finished some five laps down on the victor, and in the midst of a summer in which he could barely stop winning. The difference? Those two earlier wins were on excellent-in-the-rain Dunlops when many of his rivals were not, yet the British company had since pulled out. 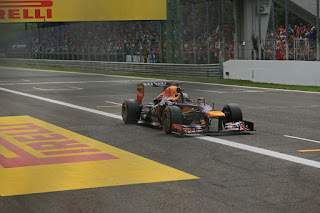 Now he was on Goodyear tyres, which gave him no chance to compete when the rain fell compared with those on Firestones. Perhaps worst of all tyre wars as mentioned ensured vast extra spending on tyre testing, for little outward effect on what we witnessed in a Grand Prix weekend. Piquet for that 1985 campaign mentioned did the equivalent of 75 Grand Prix distances in the close season, simply testing for Pirelli which relied on him almost exclusively. Russell Bulgin in Autocourse that year noted that he circulated the Kyalami track in South Africa for this end "like a demented clockwork toy". Schumi's testing for Bridgestone also was the stuff of legend. Though equally in the age of severe testing restrictions that presumably can be controlled this time. Coulthard indeed commented as much: "As long as the boundaries were set out - no testing, limits on costs to teams - there is no reason why a tyre war would have to have cost implications." But as outlined it's not just about cost. 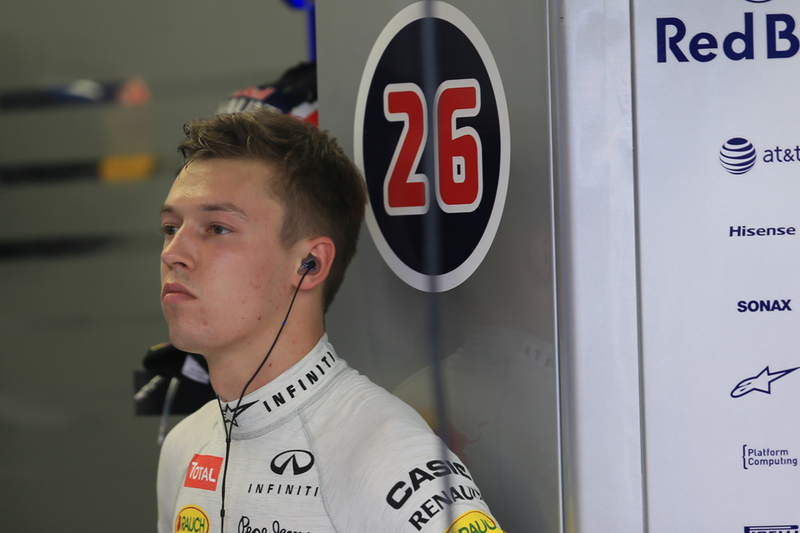 Kvyat among his contemporaries almost alone it seemed could foresee the other downsides of a tyre war. Those that we all too readily forget. very good article. It was so informative. For tyre lovers I must say that we are also tyre manufacturer in Thailand . We manufacture TBR tyres in various sizes and patterns, You can visit our website for more information. Very informative article. An amazing post. Love everything about F1 car tyres? 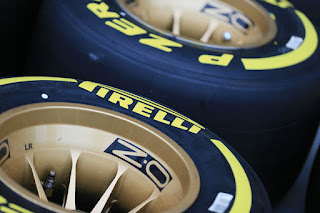 Click on my name to know the detailed history of F1 tyres! !